Edition Statement First Edition, First ed. 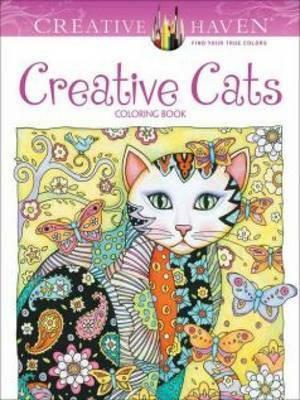 Cat fanciers and coloring enthusiasts will be enchanted with this gallery of original designs. More than 30 full-page portraits of pretty pussycats form a rich tapestry of motifs that includes hearts, flowers, and paisleys in various patterns. Specially designed for experienced colorists, Creative Haven(R) coloring books offer an escape to a world of inspiration and artistic fulfillment. Perforated pages printed on one side only for easy removal & display.